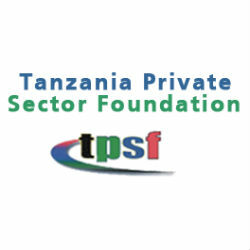 The Tanzania Private Sector Foundation (TPSF), the apex body of the private sector organizations in Tanzania, issued a press release to answer recent concerns by certain sources that questions whether TPSF represents the interests of the entire private sector. According to the press release TPSF states very firmly and unequivocally that it supports increased foreign investment in Tanzania. TPSF believes that no country can achieve fast and serious development without continuous growth of Foreign Direct Investment (FDI). Indeed, Tanzania’s economic growth of 6.9% over the last three years has been largely contributed by foreign direct investment. TPSF support towards FDI is demonstrated by the fact that in 2013 alone, TPSF working closely with the Tanzania Investment Centre (TIC) and the Ministry of Foreign Affairs and International Cooperation facilitated and/or supported about 12 foreign trade and investment missions specifically for attracting foreign direct investments to the country. TPSF supports the country’s vision that creates political, economic and social framework for foreign investors’ participation in trade and investment in the country, testimony of why Tanzania is an investment destination of choice. In the press releases TPSF indicates it will continue to encourage and assist where needed, all foreign companies operating in Tanzania. This will be in line with the National Economic Empowerment Act of 2004 which states that enhanced local participation in the economy is important for the country’s continued peace and stability.